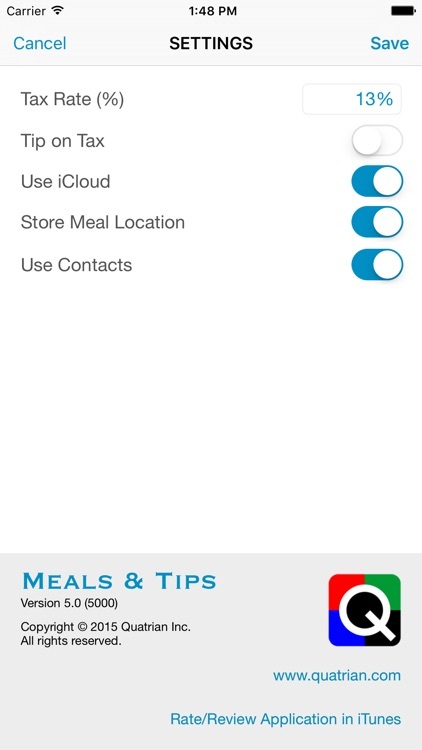 Meals & Tips by Quatrian Inc. 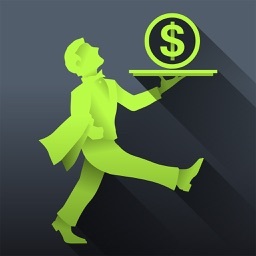 Meals & Tips is a tip calculator that will meet your needs for figuring out how much to pay when going out for a meal. 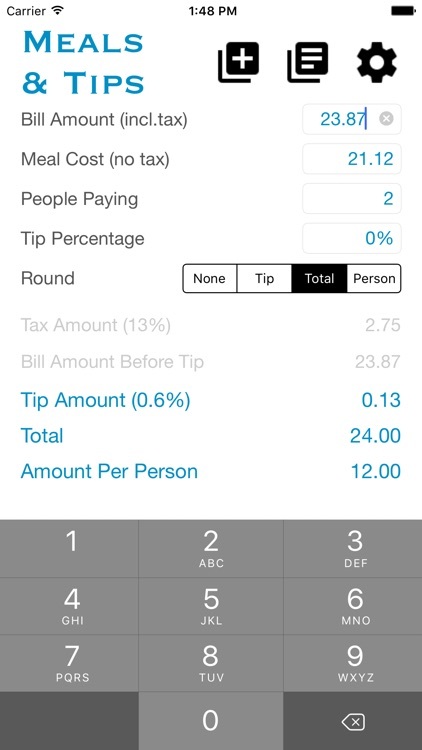 - Enter the bill value including the tax or the meal value excluding the tax. - Specify the local tax rate to be used in the calculations. 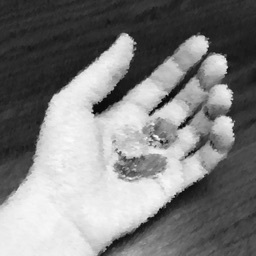 - Tip can be either on top of the tax or not. - Round the values up (by default) or down. 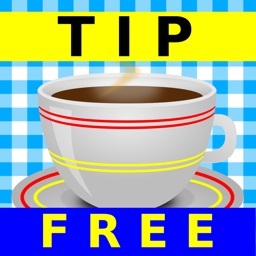 Tip Help will then show you the effective tip percentage you are leaving. 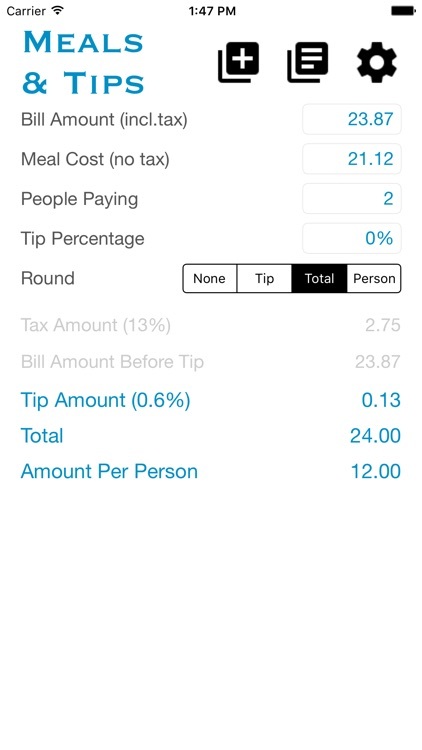 - Three rounding options available: Don't Round, Round the Tip amount and Round the Total amount. 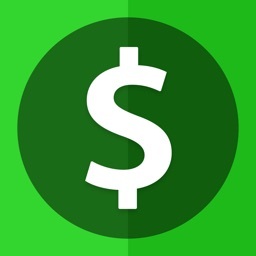 - Split the total amount among the number of people paying. 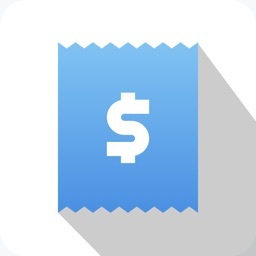 - Your preferences are saved between sessions so you only have to enter the bill amount. - Shake the phone to reset the bill value to zero. 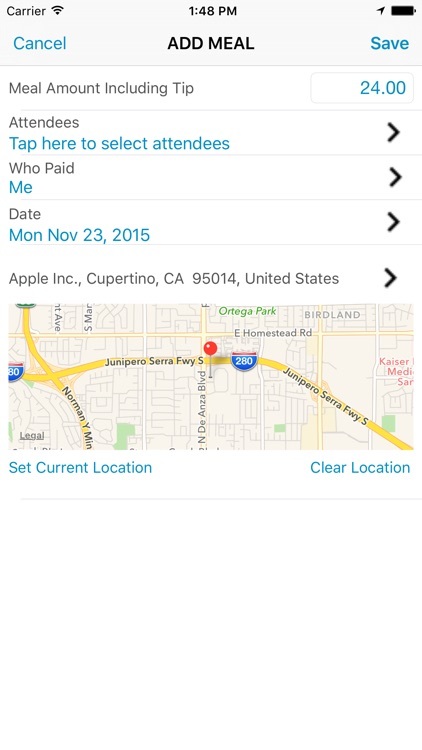 - Keep track of your meal history: date, amount paid, attendees, who paid and location. 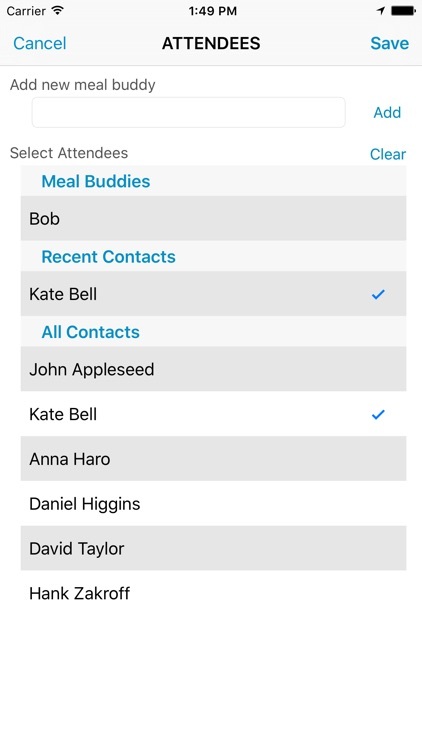 - Integration with Contacts for meal attendees selection.